A new frontier for customer service. 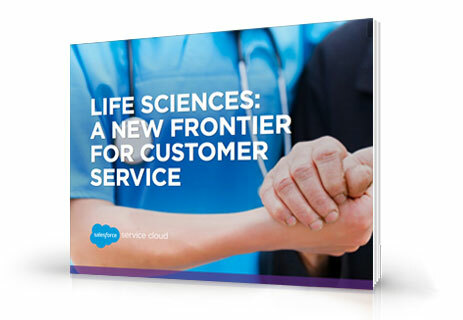 The life sciences is changing – and so are your customers. The life sciences landscape has changed significantly — and as innovative new technologies continue to change the game, at the center of all this change is the customer. They expect you to know them and provide personalized solutions within any channel they choose. How Service Cloud can help every step of the way. Download this free e-book today and start delivering fast, smart, secure service to your customers.